Our platform is open source, which allows most ASTC tokens to be controlled by users and investors. With the ASTC token, users can have access to the application. Also, these tokens can be redeemed in return – at four-month intervals. At present, 200,000 ASTC tokens have been ordered through initial landings for prospective DApp users worldwide. 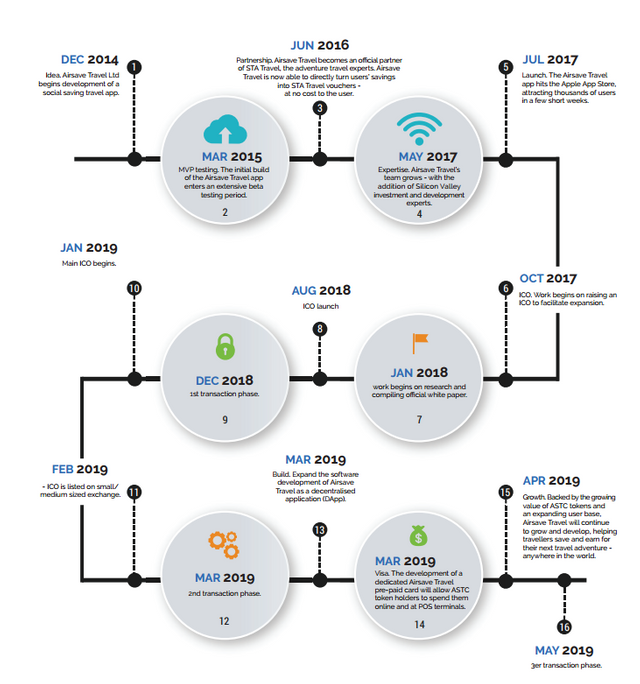 This reserved token will be given to a smart contract for three months after the ICO ends. The vesting period will be used to prevent tokens from being sold in shares as soon as the ICO is completed. 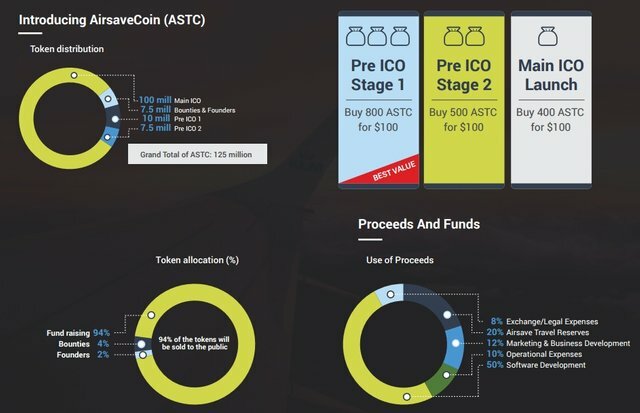 In this way, we can have time to educate ASTC owners (travelers) on how to use their tokens in DApp and how to buy ASTC from investors who want to sell their ASTC tokens for profit. 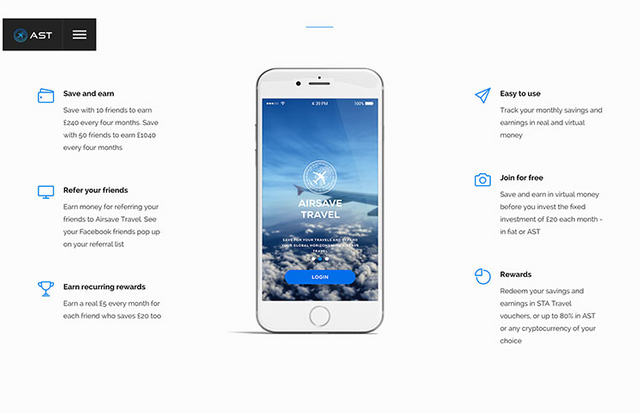 Airsave Travel gives users the opportunity to see how they will fund their trip by letting them save in a crypto-point, allowing them to see how saving can actually easily triple real income. Users can also track their travel deposits and get balances in real time, get monthly prizes, repeat by inviting their friends, watch the reference lists of their friends increase and withdraw their savings and income as travel vouchers from our exclusive partner STA Travel, or up to 80% on ASC or cryptocurrency tokens – all from their smartphone or device. 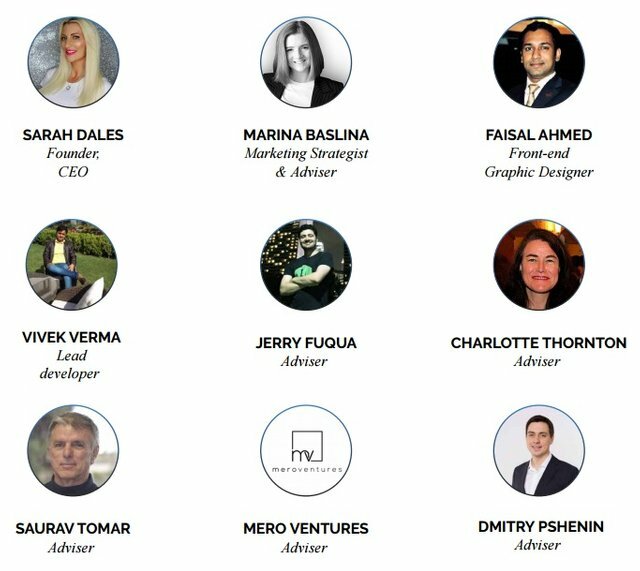 Both users and investors have many benefits from our platform.